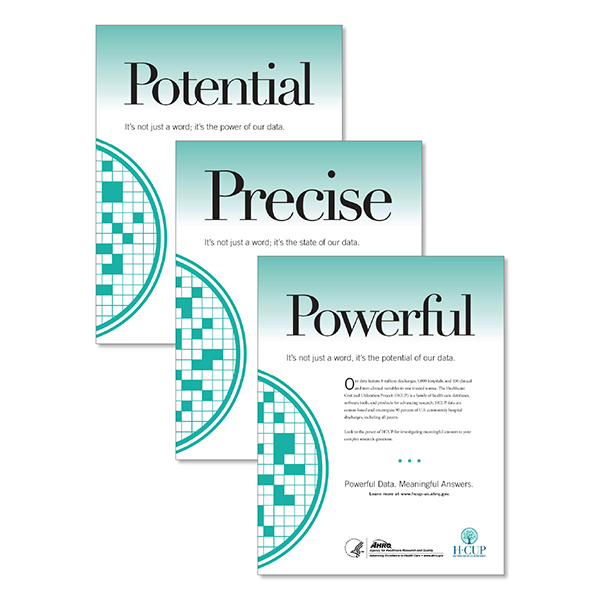 After developing and designing the logo, I lead the team that designed and produced a multiplicity of collateral material, over several years. Shown here are some of the individual pieces, as well as series templates, that I designed. 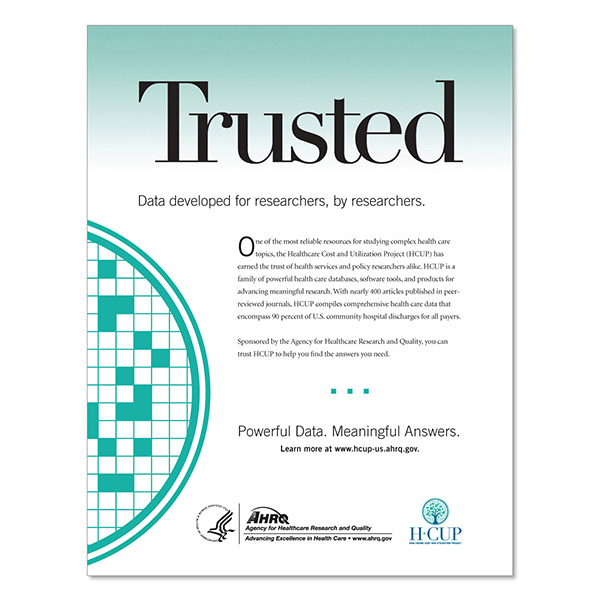 HCUP "Trusted" AdFirst in a series of ads to promote the positive attributes of the HCUP databases. Developed concept and was art director and designer. Copywriting by GYMR Public Relations. Other ad versions presented before I left my position at MDG. 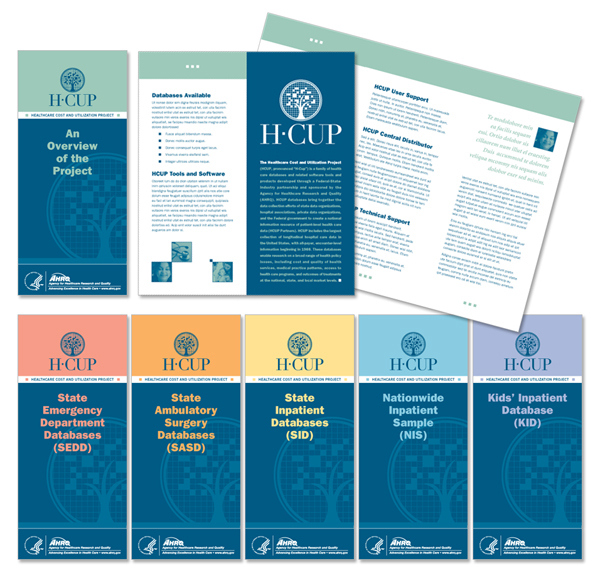 HCUP Brochure SeriesSeries design and first brochure for 2-color informational brochure on the different healthcare databases available through HCUP. I was art director and designer. 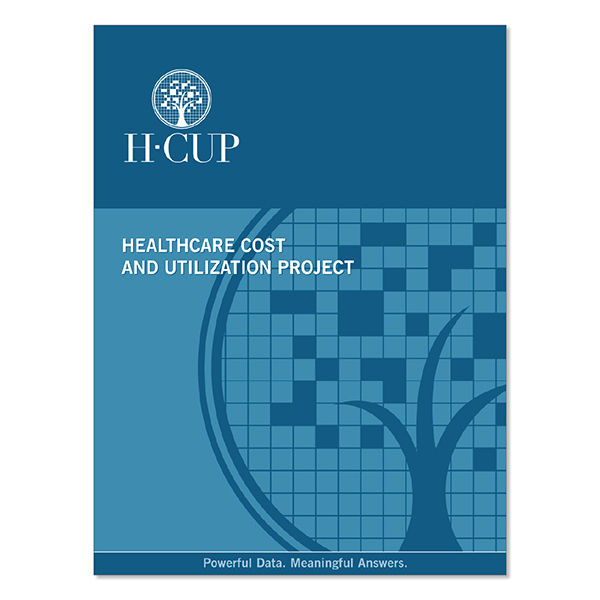 HCUP Fact BookFirst in a redesign of a series of fact books for the Healthcare Cost and Utilization Project for AHRQ. I was the art director and designer. 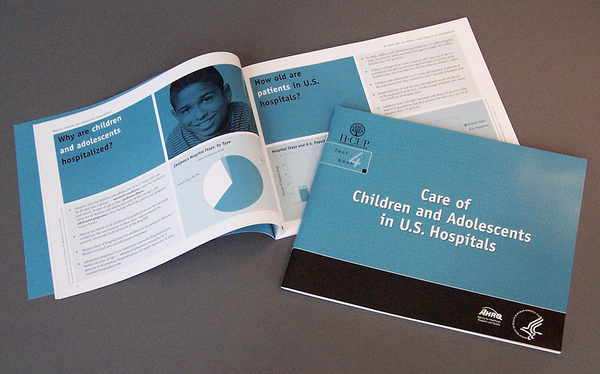 Other fact book reports produced under my art direction, following the same design and layout principles, showing the first part of the Fact Book family color palette. 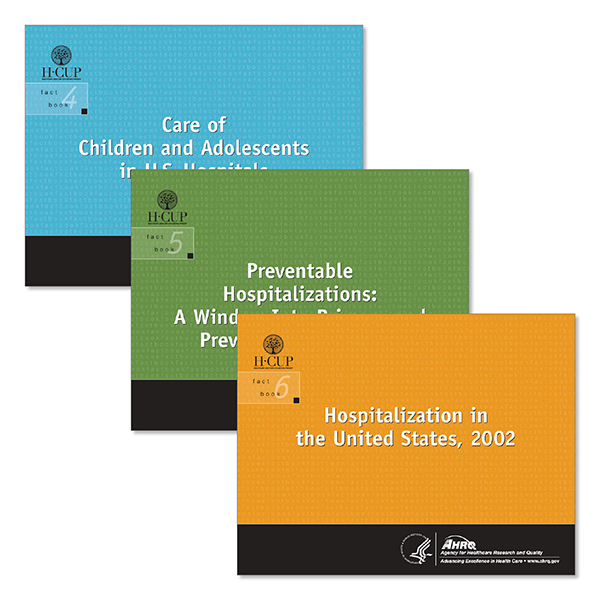 HCUP Pocket Folder9x12 Pocket folder to house printed materials at trade shows and upon request to researchers.